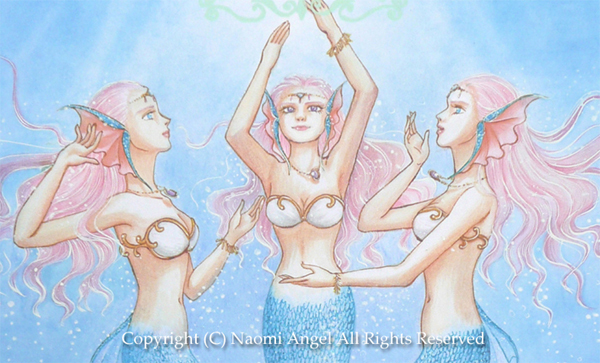 Three beautiful spirits of ocean, mermaids started to dance for God. And a bright strong light appeared over them. 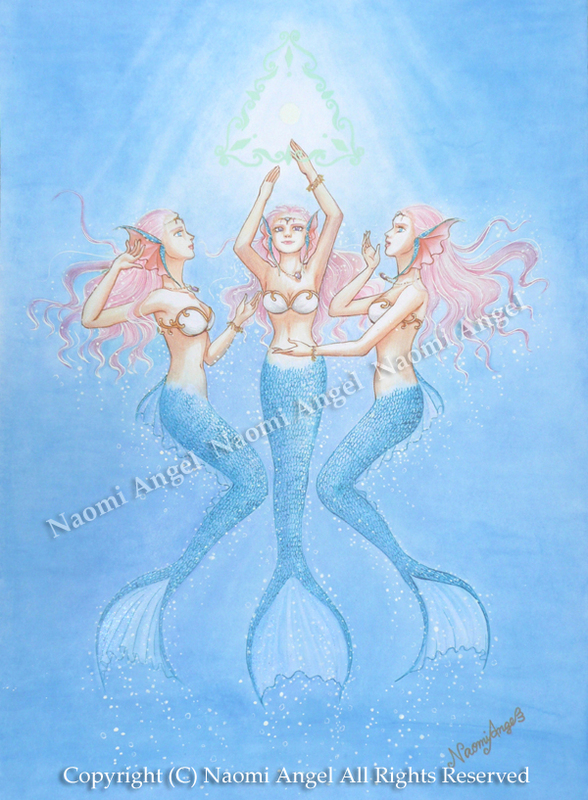 It’s the light of love and healing for all life. Like mother touch her child woth her hand. Love was given to all life, and rippled through the world.